What is Ronald McDonald House Charity about? 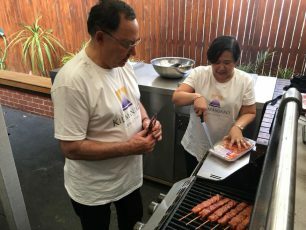 Ronald McDonald House Charity aims to keep families together by providing a ‘home away from home’ for those with seriously ill children living in regional areas. It began back in 1974, when Philadelphia Eagles football player Fred Hill and his wife Fran were struggling as they lived their days in and out of the hospital eating out of vending machines while their daughter was treated for Leukaemia. Fred saw numerous families in a similar position and begun raising funds to purchase a house nearby the hospital to make it easier for those in tough times. Willingly, McDonald’s agreed to help fund this and donated proceeds following their launch of the ‘Shamrock Shake’. Thus, Ronald McDonald House Charity was born. 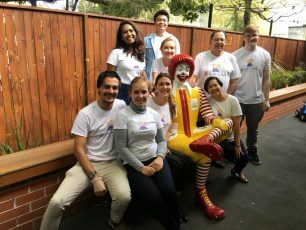 Currently, there are 16 Ronald McDonald Houses in Australia and more than 360 houses worldwide. Our tribe visited the Randwick House, that provides a home for 32 families a night, all year round. The house not only provides facilities for families travelling a long way for their children but takes away the stress of trying to find affordable accommodation while navigating around a foreign city so that they are able to focus on what truly matters – their children. 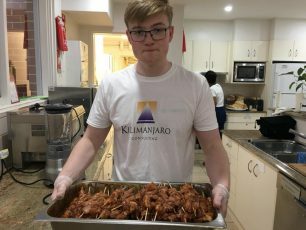 Kilimanjaro Consulting were privileged to be able to have the opportunity to engage in this cause by participating in Make a Meal to provide nurture and support to the families. As a team, we prepared a variety of foods to ensure all the families were able to enjoy their favourite meal. We began by making a pumpkin and sweet potato soup, followed by assorted side salads and an array of meat on the barbecue and pasta bake. 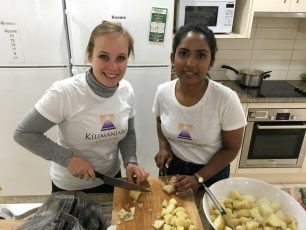 Kilimanjaro’s cooperation with RMHC goes beyond the kitchen, as we helped reduce their manual labour dramatically by implementing MYOB Exo into their 13 chapter houses – read the full story here to see how Exo gave stable communication inside the charity. Finally, Make a Meal was a one of a kind experience. We were given the opportunity to make an impact on the families in their home away from home, meeting resilient and inspiring people while bonding with one another within our tribe. We felt that we made a difference to a meaningful and lasting cause. In participating in this initiative for Ronald McDonald House, the many benefits one can receive may not be immediately apparent. We connected with the resilient families and learned how they are able to overcome adversity. The team-building exercise of feeding 80 people gave us a sense of personal warmth to both our tribe and to the families.